XL Center offers fantastic concerts and events year-round like Blake Shelton on 9/30. Make sure to attend the hottest concerts at XFINITY Center, an outdoor Amphitheater. The Bushnell Center for the Performing Arts brings amazing shows and performances like: Disenchanted the Musical September 30-October 2nd. Visit Wadsworth Atheneum Musuemof Art or the Connecticut Science Center, which offers more than 165 thrilling hands-on exhibits! Build, design, touch, learn, race and more! Learn about Mark Twain, his family, their historic House at Mark Twain House and Museum. Lutz Children’s Museumputs learning in the hands of children! If you like dinosaurs, you’ll love the 200 million-year-old fossil trackway, interactive exhibits and the chance to cast your own dinosaur footprint to take home.Dinosaur State Park preserves one of the largest dinosaur track sites in North America. Take the Founders Bridge across theConnecticut River to row, boat, fish, hike, bike, bird watch and more! Visit the Connecticut River Museum for art, artifacts and model ships. Attending a trade-show, conference, convention or event atConnecticut Convention Center? It’s in the heart of Downtown overlooking the river- a perfect location! Attending a trade-show, conference, convention or event at Connecticut Convention Center? It’s in the heart of Downtown overlooking the river- a perfect location! Test your luck at Foxwoods Resort Casino and Mohegan Sun Casino. Roll the dice, play some cards, pull some levers on the slot machine. When in Hartford, make sure to stay at the budget-friendly and pet friendly Red Roof PLUS+ Hartford. Our location is also just .1 miles from the Hartford Station Amtrak Station, which offers easy transportation to all the best attractions around the area. 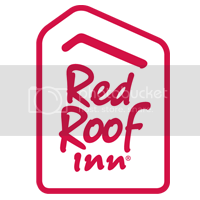 Red Roof PLUS+ Hartford adds more WOW to your stay with an enhanced experience & all new rooms with higher-end amenities. The hotel features free WiFi, elevators, interior corridors. Complimentary coffee & tea in the lobby! Check out the fantastic amenities in our newly renovated 100% Smoke-Free rooms! New, comfy Rest Suite beds by Serta, new high-end bedding, new flooring, and a large flat screen TV. Premium Rooms offer a snack ready in your room! Stay with us.